If you can start a healthy and natural way of life even before you hit the teen years, this will go a long way to preventing acne outbreaks both as a teenager or a young adult. When the hormones start kicking in, you will have a head start. It is so worth it when you think of all the angst that can accompany acne and the fact that acne affects close to 100% of all teens and 20% of young adults in the USA. 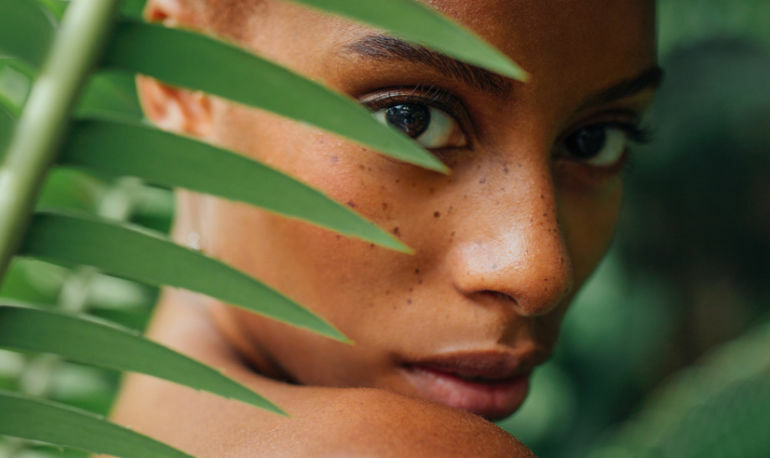 Although there is not much you can do about your hormones, there is a lot you can do about a regular routine for keeping your skin clean to help reduce latent bacteria which tends to lurk there. Gently wash the skin with warm water and a soft soap or natural cleanser at least twice a day if not more. This will discard any extra sebum on the skin’s surface as well as the dead skin cells and debris that can accumulate. Ensure you remove all your make-up very gently. If you have a job where you might be in contact with oil, or if you exercise or play sport, wash your face even more frequently. If you wear make-up or sunscreen, check the labels very carefully. These should read “noncomedogenic” or “nonacnegenic”. All make-up should be water-based. If you use hair sprays or gels, make sure you keep them well away from your face and if you have long hair or a fringe, wash it frequently so there is no oil build-up that can get on to your face. A healthy and more natural way of life will include drinking 6 to 8 glasses of water daily; taking plenty of vitamins A, C and E as well as Zinc; including lots of leafy vegetables and fresh fruit in your diet; ditching the processed foods, the sodas, artificial sweeteners and cutting down on sugar. Natural treatments have made a tremendous come back for all kinds of health conditions including acne. – Tea Tree Oil is very popular for treating all types of skin blemishes and irrations which should be applied to any suspect areas of the skin after cleansing. – Licorice Root has been found to have anti-inflammatory properties and will help in clearing up skin inflammation such as acne. – Aloe Vera is the all-in-one natural medicine cupboard with a whole host of medicinal properties including one for addressing inflammatory conditions of the skin. A big plus is that Aloe Vera will also boost your immune system. – Olive Leaf Extract is a tried and trusted standby that has been used for centuries for many problems including clearing up skin outbreaks. – Lavender Extract contains both anti-inflammatory and antiseptic properties which combine to kill off acne causing bacteria. This particular natural remedy might not suit everyone as it can cause an allergic reaction or drying of the skin. First test on a very small area. – H-Acne from Healing Natural Oils when used twice a day will give you a safe and gentle essential oils solutions for treating your acne outbreak. If you have back acne, add a drop or two to your bath water for a good soaking and as a long term preventative, place one drop into your final rinse water when cleaning your face. There are 2 goals for the treatment of acne – firstly, to lessen the number of inflamed spots in order to prevent skin scarring and psychological distress by reducing: sebum production, the proliferation of skin cells and the levels of bacteria and secondly, to prevent new spots from forming. Natural treatment can play a big role in achieving these goals. Roche’s Proposed Takeover of Illumina—Game On for Universal DNA Sequencing?